Buying your first home is exciting, but the price tag can cause major trepidation for even the most prepared homebuyer. Investing in a multi-unit property with a mother-in-law apartment or other rental unit can bring in additional income to help cover your mortgage and alleviate that financial anxiety. Take the time to explore the benefits of investing in a multi-unit property and consider whether or not you are prepared to take on the responsibility. As people continue to live longer and healthcare costs continue to rise, demand for multi-generational housing is growing. The Wall Street Journal notes that more homeowners are able to build and rent these units on their properties thanks to lobbying efforts by groups like the AARP, which have helped loosen local regulations. If you’re looking to purchase your first home, take advantage of these efforts and start reaping the benefits. Scour your local Craigslist listings and you’ll find dozens of people looking specifically for mother-in-law apartments. Renters like the privacy and homey feel of an accessory dwelling over renting a room in an apartment complex. Thanks to this demand, savvy buyers know they can rely on a steady stream of income from a rental unit. Many homeowners use this money source as a way to save for retirement or pay down their mortgage. Because multi-unit dwellings are such a hot real estate item, you likely will not have trouble reselling the property when you’re ready. According to the New York Times, 15 percent of buyers were willing to pay more for a house with an accessory dwelling. These potential buyers are looking for additional space for a variety of reasons: a tenant, a relative — multi-generational households are especially popular with immigrant families — or a detached home office for freelance or telecommuting jobs. Taxes will take some of your rental revenues, but rental properties can actually bring you additional tax benefits. Expenses that you can deduct from your taxes include repairs, maintenance, insurance, supplies and travel. Consult a tax professional for details on the best way to get tax benefits from your rental property. Before you jump into a new job as property manager, there are some important things you need to consider first. Ask yourself these critical questions before buying a home with a rental unit. Can you afford the price and time commitments for purchase? With the increased appeal of and competition for these properties comes an increased price tag.According to Zillow, fully permitted units are often priced about 60 percent higher than single dwelling homes. This is great news for re-sale value, but not necessarily when you’re looking to buy. And due to the demand, you are likely going to have to wait longer than expected to score a home with a rental unit. If you are looking to purchase a home quickly, one with a rental unit may not be available on your timeline. Are you ready to be a property manager? Being a property manager goes beyond collecting a rent check each month: it’s a 24/7 job. You need to maintain your unit and ensure your renter is happy with their living situation. In fact, tenants have basic rights you must guarantee as a landlord. Check with the U.S. Department of Housing and Urban Development (HUD) for specific requirements in your state. You should also expect to invest roughly 10 percent of the money you are making off the rental back into the unit, according to Robert Griswold, author of “Property Management for Dummies.” You will need to make occasional repairs and regular updates on the property, he says, and you could alienate good tenants if you don’t keep up with regular maintenance work. Make sure you are prepared to handle the time and effort it takes to be a successful property manager before purchasing a home with a rental unit. Depending on state rental laws and city requirements, an in-law apartment sometimes cannot legally be rented out because it violates zoning ordinances. 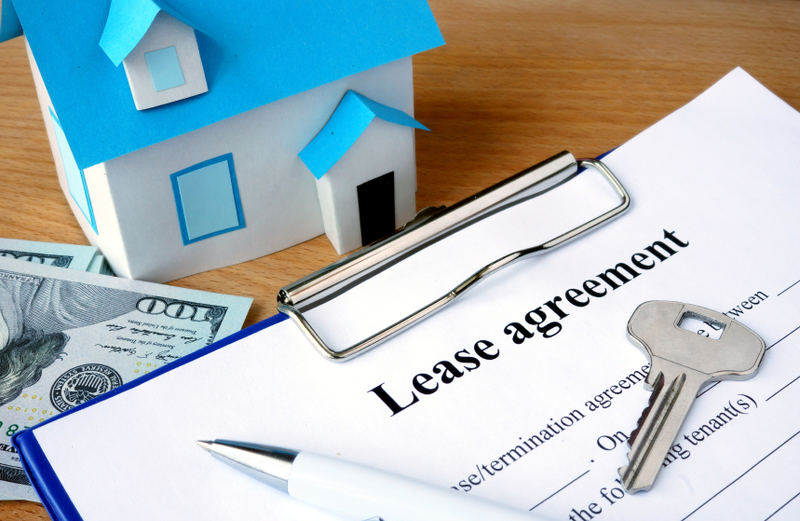 Perform your due diligence when looking into purchasing a home with a rental unit. Check with your local building department for the certificate of occupancy, and contact your city’s planning and zoning office to find out the local zoning requirements. Though enforcement by municipalities is often lax, you may need a business license to rent your unit. According to Apartment Management Magazine, not being in compliance can affect everything from your insurance to your ability to evict a tenant. Does it meet municipality code? Even if you are allowed to rent out the unit according to zoning regulations, the rental unit you’re eyeing may not meet your municipality’s rental housing codes. You can find these rules through your city’s code enforcement officer. Check with the planning office to guarantee the right building permits were filed before buying, as it can be very expensive to reconcile code violations after you buy. Hire an inspector who can comb through the rental to find problems before you purchase. You can request that the seller fix these problems before you buy the house. Owning a first home is exciting. While the cost of home ownership can be daunting, you can free yourself from some of that monthly mortgage stress by buying a home with a rental unit. Just make sure you’re prepared for the property manager duties.